Foster an animal for Osceola County Animal Services. Thank you for your interest in becoming an Animal Services Foster Volunteer! Foster volunteers open their hearts and homes to animals in need. They provide temporary care to cats, dogs, kittens, and puppies in their Osceola County homes. Foster volunteers save lives! What is pet fostering about? To find out more about fostering for Osceola County Animal Services, click the links below. Fostering assignments, in most cases, last from three to six weeks. Most fosters are cats or kittens, though dogs are sometimes available. Some of our fosters are special needs animals. Animals must be fostered due to any of the following circumstances. The first three are the most common. Please let us know if you have the skills needed to foster a special needs animal. The animal is too small for adoption. The animal is recovering from a procedure. The animal needs to be socialized. The animal needs to be hand fed. The animal is displaying behavior issues. If you decide that fostering is for you, please complete the process below and we will be happy to welcome you to our team! 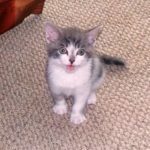 How do I get started fostering? In order to be able to foster, the following criteria have to be met. The foster must be a resident of Osceola County and 18 years of age. The foster must have the permission of the landlord, if there is one, to foster an animal. The foster must have the permission of the family to foster. The foster must have transportation to and from the shelter for appointments. The foster must take and pass the online foster learning module and complete the foster application. The link to get started is located below. The module will take just about an hour to complete, then you will need to complete and submit the application to foster. 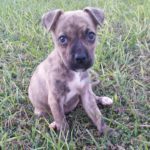 The foster need not worry about necessary supplies, food and medical needs at they will be provided by Osceola County Animal Services. Additionally, our team of staff and volunteers will be available for advice and moral support during your foster journey. Learning module and application to foster.